The Tatar Mixed Corpus is a Tatar corpus made up of texts in different genres, such as news, official, belletristic, scientific (mostly humanities), folklore, religious, old texts and some others that were collected from different web resources. The corpus is intended to represent the Tatar language. The data comprises of more than 100 million word occurrences and was processed in cooperation with Mansur Saykhunov, the author of Corpus of Written Tatar (http://www.corpus.tatar/en). The Tatar Mixed Corpus is annotated using Apertium’s morphological tagger (http://turkic.apertium.org/index.eng.html?choice=tat#analyzation) with the following Tatar PoS tagset. 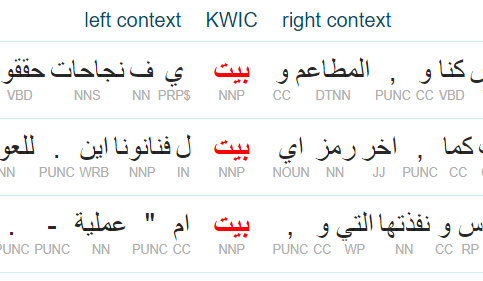 Sketch Engine offers a range of tools to work with this Tatar corpus from the web.